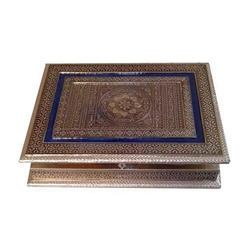 Manufacturer of a wide range of products which include colorful gift boxes, painted gift box, decorative gift box, gold coating gift box, fancy gift box and gift box. 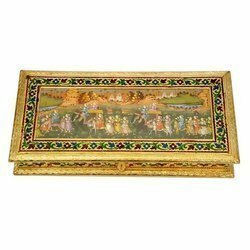 In order to fulfill the ever changing demands of our clients, we have been engaged in manufacturing, retailing, supplying and exporting a superior quality range of Painted Gift Boxes. 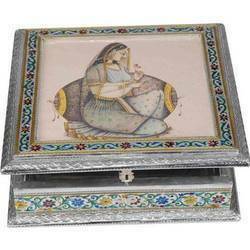 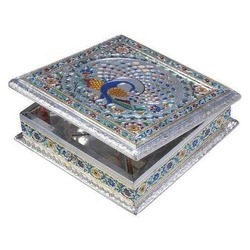 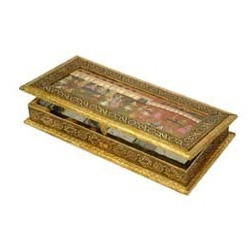 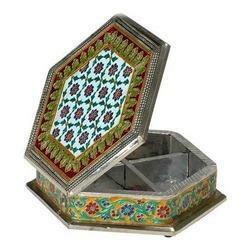 These boxes are designed under the guidance of expert professionals, who make use of aluminum, brass, wood, jewelry color (mina) to manufacture these boxes. 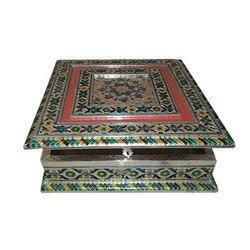 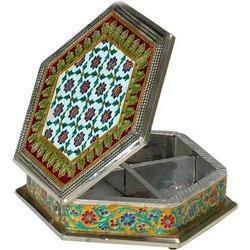 Moreover, we offer these boxes in 16 X 08 X 03 inches at market leading rates. 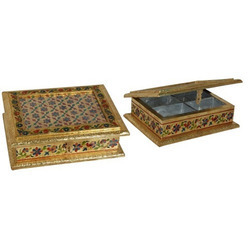 Owing to our experience, we have been successful in catering to the requirements of our esteemed clients by offering quality Decorative Gift Box. The superior quality aluminum, wood, picture and jewelry color (mina) are procured from the reliable vendors of the market to manufacture these boxes in compliance with the set industry standards. 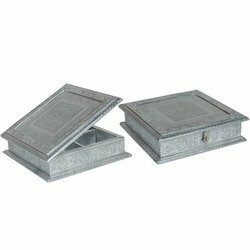 Moreover, these boxes are designed in accordance with the latest trends of the market, which can availed in size of 11 X 11 X 03 inch. 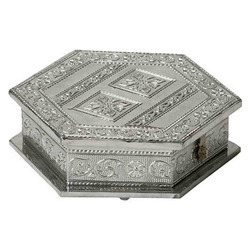 Our organization is one of the accredited manufacturers, retailers, suppliers and exporters of a premium range of Fancy Gift Boxes. 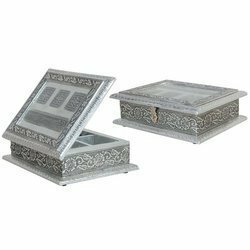 Manufactured using superior aluminum and wood, these boxes are manufactured in compliance with the set quality standards and norms. 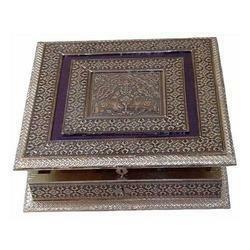 We offer these boxes in 10 X 10 X 03 inch at market leading rates. 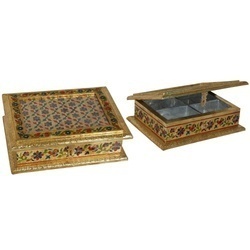 The boxes offered by us are widely demanded by the customers for their features like lightweight, fancy design and stylish look.